Remodeling a home is an expensive prospect, and one of the ways you can gave the outside of your home a fresh look without extensive construction work is to instead have new outdoor lighting put in. With proper landscape lighting and illumination for pathways, doors, and recreation areas, you can transform a bland and unsafe exterior of a house into something bright and inviting. New outdoor lighting can also increase the value of your home and add an extra level of security. To add or redesign a home’s outdoor lighting requires more than a step ladder and a string of light bulbs: this isn’t holiday light-hanging, but a permanent home improvement project. Just as you would want a professional to handle the interior remodeling for your home, you will want a professional to handle your exterior lighting. For experienced service from licensed and highly-trained electricians to install outdoor lighting in Berlin, CT, call on Electrical Connection, Inc.
Save energy: New lighting for the outside of a house can be an expensive proposition when you consider the power requirements. But expert installers will know how best to arrange the lighting for maximum effect without power waste. They will also be able to advise you about high-efficiency bulbs and install them so you save money each time the lights come on. Design skill: Putting up outdoor lights is far more complicated than picking a few spotlights and planting them around the yard. To receive the attractive look for your outside that will both make it pleasant and provide necessary safety requires the work of technicians with years of experience creating effective lighting designs. Safety: Poorly installed outdoor lighting can present major safety hazards. Exposed wires and mismatched voltage could potentially cause blackouts or even fires. You must keep your lighting up to local electrical codes, so trust the work to the men and women whose job it is to know those codes backwards and forwards. Save time: Installing outdoor lighting is a big task, and you can expect it to take far longer to finish if you attempt it on your own or hire amateurs do to it. Professionals will plan out the installation work so they can get the best job done in the shortest amount of time possible. 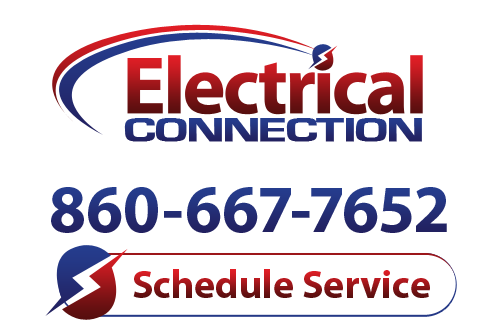 Our electricians at Electrical Connection, Inc. have the training and experience to meet and exceed your expectations. Aside from our work with outdoor lighting in Berlin and other parts of Connecticut, we also handle indoor, commercial, security, and art lighting. You can trust the outside of your home to our capable hands. We don’t consider a job 100% finished until you are 100% satisfied. Contact us today to make an appointment.